I have one child that is reading challenged so I used it with him as a review tool. Playing the games with him went quickly as he only needed a little help. I then used it with my beginner reader and she caught onto the words pretty quickly. My son who is just learning to read used it with a lot of review since he is only now learning phonics and some three letter words. This has been a great way to incorporate sight words effortlessly when all of our reading is phonics based. Being fast paced, fun to learn, successful with dyslexic children, recognizing common sight words and the non-babyish books made it a win-win for me. So, how what did my children think and how did it go over with them?? 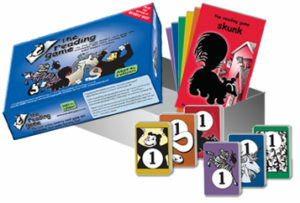 Well, they all LOVED it and ask me each day if we can play The Reading Game. They like the fact that it is a game, there are only five words at a time thus easily learned, the story books are interesting, they get one-on-one time with mom, and they WIN! My children love animals, as I have found most children do, so the individual animal on each card deck/book to differentiate the levels is right on target. No grade levels to intimidate or demean a child.